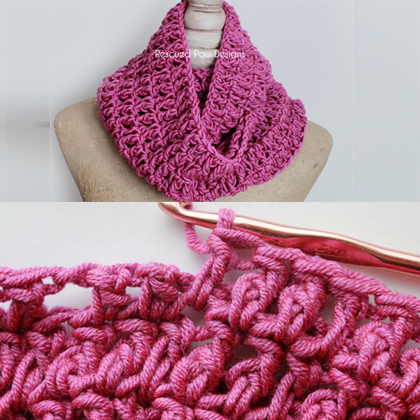 I am ecstatic to be finally able to share what I have been working on for a while.. "The Crochet Cabled Cowl". This scarf has amazing texture on the front side (created by the cables).. serious chunkiness!! Meanwhile the stitch from the front creates an interesting design on the back which means its so versatile that it could be worn both ways!